Thanks for Shazaming! We’re always working hard to make the app faster and better than ever. Update to the most recent version to enjoy the latest and greatest Shazam.Love the app? Rate us! 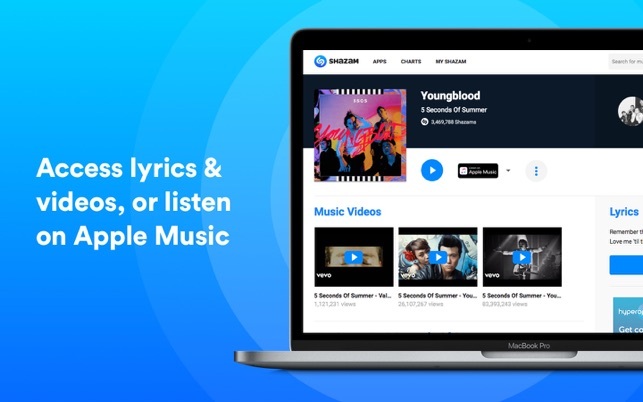 Your feedback is music to our ears, and it helps us make Shazam even better. Got a question? Visit support.shazam.com. It’s great, I just click on the little icon that stays at the top edge of my laptop when I want it to “listen” to id the music I’m playing in my video, captured during a class, and it not only gives me the name but a link to the actual piece. Is My Shazam supposed to sync across devices? That's not happening for me. Without that functionality, the app is pretty weak. It'll listen to music playing around you, but chances are, unless you're sitting in Starbucks, you have a good idea what music is playing in your home. 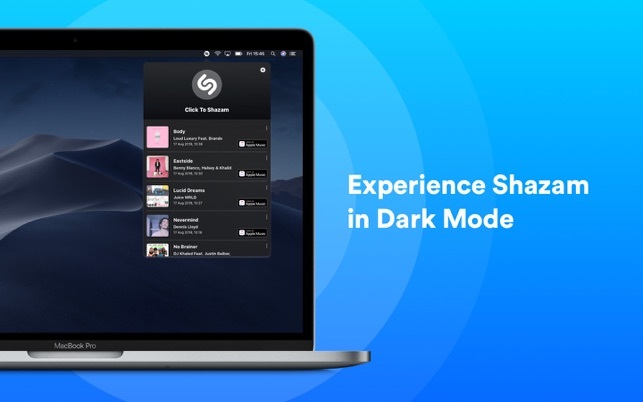 Do not understand why you can log into Shazam in iOS and not in macOS so that the devices can sync. It's ridiculous in version 12. Sorry, ratings gone down to one star, and unless this is added should sink further. I downloaded this app so i can know every song playing at almost any time. With the new app, you have to manually click it and it only shazams the current song. Much preferred when it listened to every song it could catch. 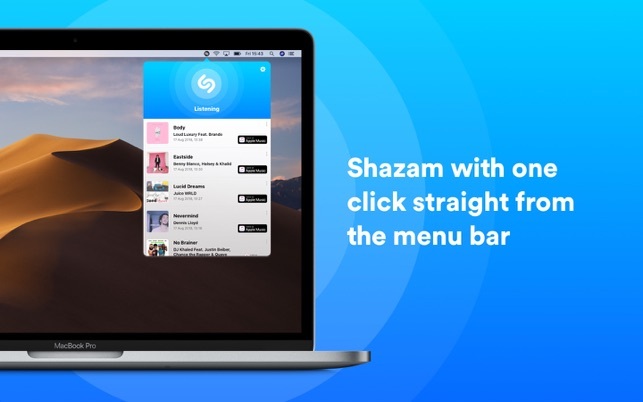 Love the redesign, but consider going back to autoshazam please.